Duro-Last roofing is sold and installed by a certified network of Commercial Roofing Companies across the United States. 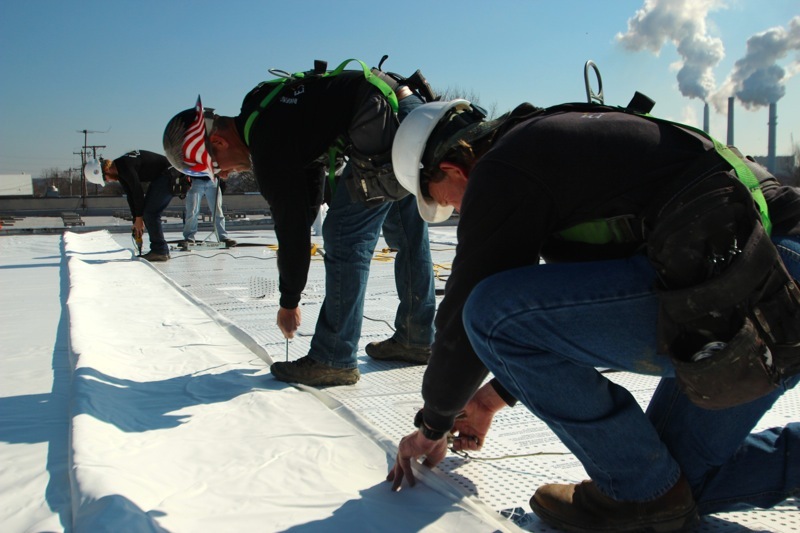 Duro-Last roofing is installed on new construction projects but has become know as predominately a re-roofing product because of it’s ability to be installed overtop of other types of flat roofing systems. Roofing contractors can glue down (fully adhered) the Duro-Last membrane or screw it down (mechanically attached) with screws and plates. But is most often installed mechanically attached.